“Session information not yet available,” says the GA website (on the complete lack of lap times over the two days). At least they’re consistent: times weren’t available at last December’s Homestead test. The absence of such information does dilute the offering. We’ve still got Russell Wittenberg unwell too. “The test was designed so that teams could get acclimated to the new BOSCH electronic control unit (ECU), which will be mandatory on all Daytona Prototypes beginning next season and on all GT machines by mid-year,” stated Grand Am’s release after Monday’s day 1. Despite that statement, almost the only mention of the Bosch units (in Tuesday’s release) was the fact that Krohn Racing was getting “acquainted with the new BOSCH ECU”. So some teams were running the new units, some (most?) weren’t. The situation at Krohn Racing was a little odd. The team has switched to Pontiac engines, for this week at least, a fact which came as a surprise to even Colin Braun on Monday, but the only explanation was along the lines of “because we are”. The Pontiac V8 was “running good” in #76, although “we’ve had a few hiccups with the new ECU, but we’ve been able to remedy the problems,” said engineer Steve Newey. 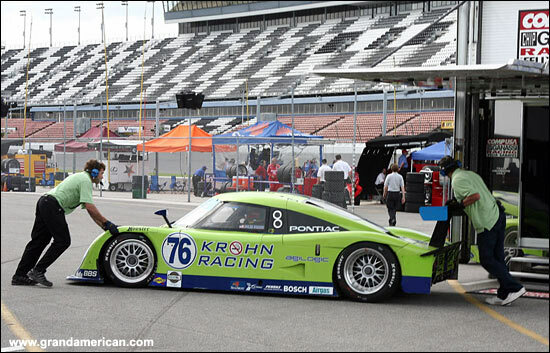 There will be two of the green Rileys at the Rolex 24, driver announcements in due course. Colin Braun was fastest on day 2 in the #76 Riley Pontiac, a 1:43.947 just over two-tenths slower than Angelelli’s best on Monday. Light showers played a part in the afternoon, preventing any improvements. Max Angelelli was second-fastest on the day in the #10 SunTrust Riley Pontiac with a 1:43.951 – just four thousandths slower. Jeff Gordon will be in this car for the Rolex 24. Over at Cheever Racing, a change of brake discs was needed to cure “a lack of retardation” and Christian Fittipaldi set a 1:45.2 after lunch, just before the rain, two-tenths slower than fellow Brazilian Thomas Erdos’s best time on Monday. Erdos will be back with the team at Homestead next month. With Luis Diaz racing in the ALMS in 2007, Chip Ganassi had the Mexican (replacement) Carlos Pardo sharing his Riley Lexus with Scott Pruett. “We’re here with Carlos, testing him to determine who will be my teammate for 2007 in the No. 01 CompUSA Lexus Riley,” said Pruett. Continuing the driver (rather than testing) news, Patrick Carpentier was going very well in the SAMAX Riley, third-quickest in Monday’s test sessions and then fifth fastest on Tuesday morning. No times for the new car, of course. 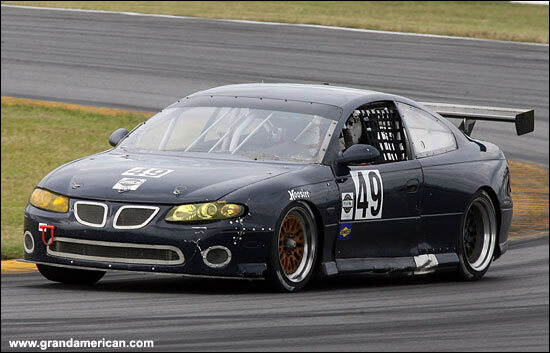 Jim Matthews and Marc Goossens were testing the Riley Motorsports #91 Riley Pontiac, team manager Ken Swan admitting that “we’re just trying to find some more speed.” Expect two high profile names to join these two for the Rolex 24. Bill Riley, for once, actually has a Riley DP for sale: that is it hasn’t yet been snapped up by the next, eager customer. Farnbacher Racing won the GT Class at the Rolex 24 in 2005, and Farnbacher Loles will be present next year with three Rolex entries. “We’ll have three cars for the 24-hour,” Peter Goebel said. “One car will have strictly professional drivers, all four drivers. The second car will have two pros and two gentlemen and the third car will be people that have been here, like Don Bell, who has been here for, I think, 16 consecutive 24-hour races. He will be in there with three other gentlemen. It was a little confusing at Team Sahlen, which has always seemed to run Porsches in the past. 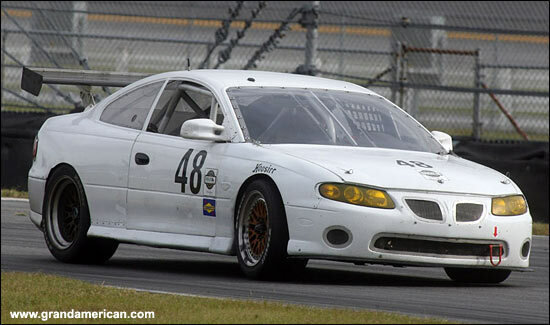 They will run Corvettes in 2007, but were running a pair of Pontiac GTOs this week, the cars obtained from Horizon Motorsports. Team Sahlen will run two Porsches and a Corvette in the Rolex 24, then two Corvettes throughout the remainder of the season. 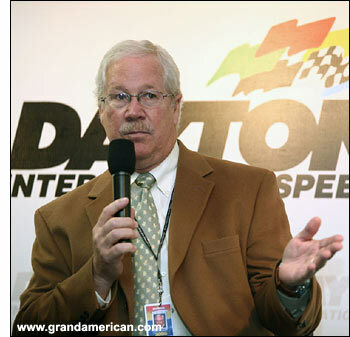 The next Grand American sanctioned test will take place at Homestead-Miami Speedway, as part of the official Hoosier Racing Tire test, on December 5-6. Jeff Gordon and Sam Hornish are likely to be involved then - and a batch of fully tested ECUs should be available.